Asylum system in MELTDOWN, EU Laws to blame! New research has been published by the highly respected think tank Migration Watch UK. 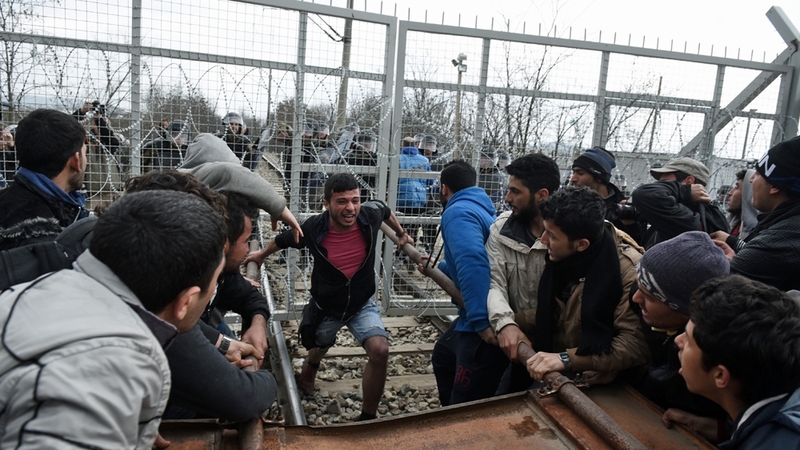 As things stand only 1 in 10 failed Asylum Seekers are being deported thanks to crazy EU laws. Their research indicates that despite making 5,712 transfer requests in 2017 only 314 migrants were actually removed. Incredibly under this system 461 migrants have been transferred TO the United Kingdom, under Dublin regulation provisions which allow EU countries to move supposed asylum seekers on to another EU member-state if they have family members who already have family ties built up there. Migration watch said in conclusion: “These figures suggest that the Dublin agreement has become virtually useless for the UK. We have seriously to consider whether its continuation serves British interests." The EU is currently planning significant changes to the Dublin 3 rules, knows as Dublin 4, but Migration Watch UK is urging Theresa May to ensure that Britain is kept out of this during any transition period and in the future. Do you agree we need to secure our borders now? Read: "What this moped gang leader did to innocent people in London is SICK"
Read: "This is the face of EVIL in Britain today"